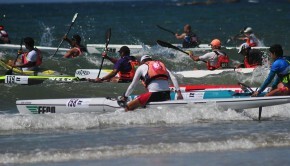 Jasper Mocke heading to the beach with a nice background. 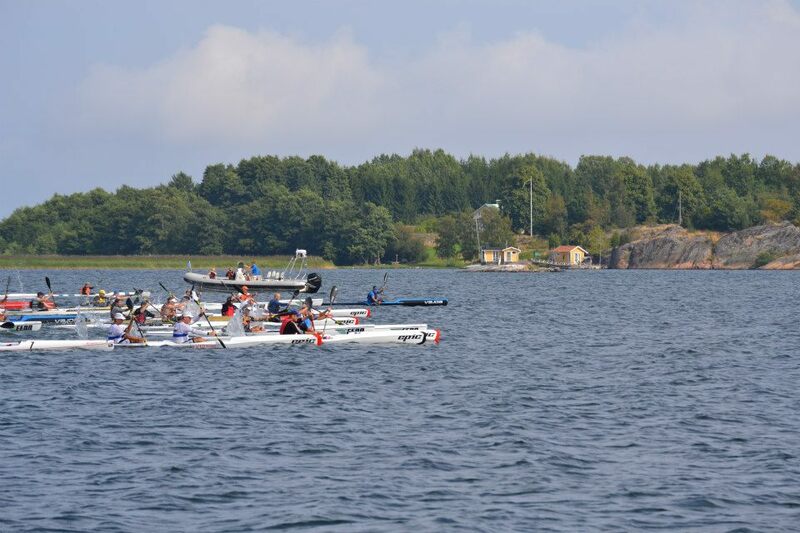 The scenery around Varkiza is beautiful. 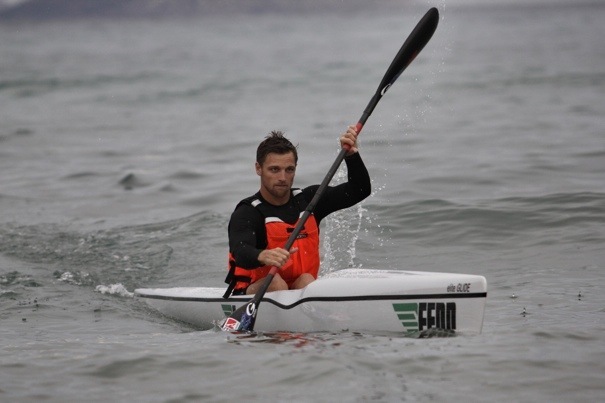 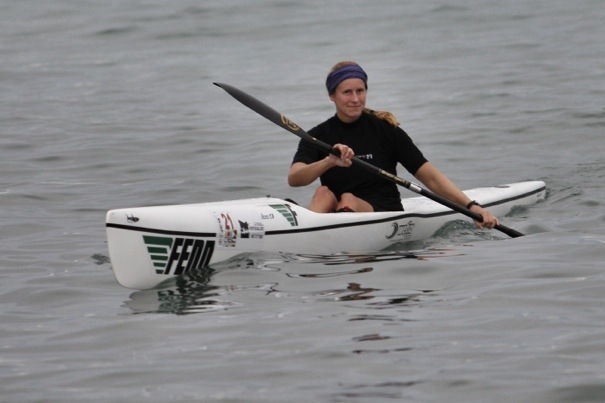 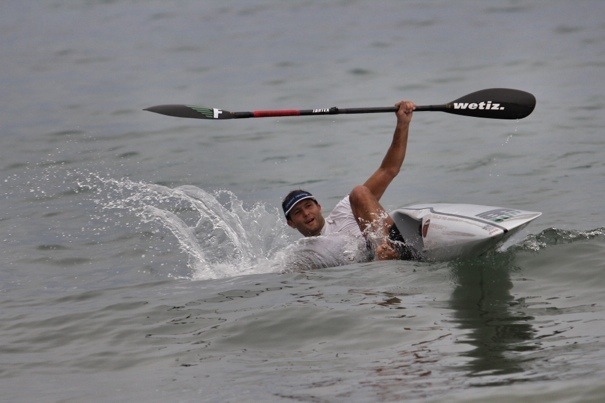 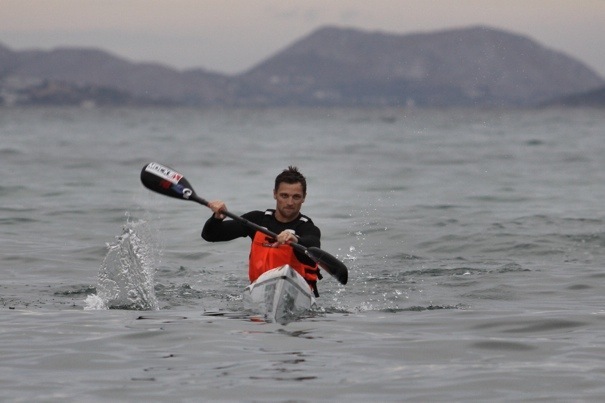 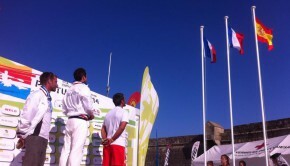 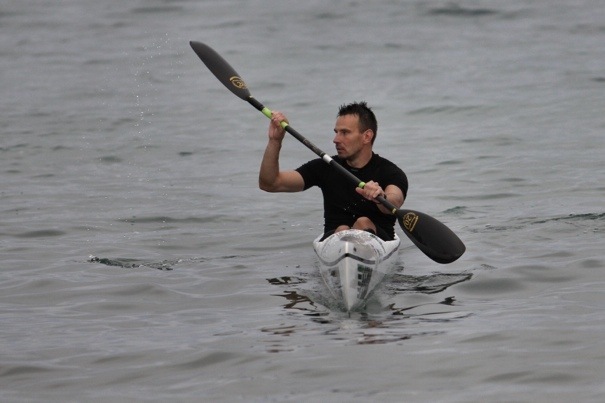 Sacha Ossowski from Germany started with surfski one year ago. 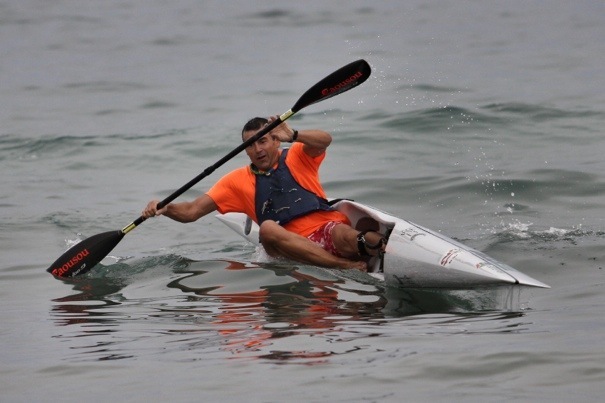 The Spanish paddlers Kiko Vega and Louis Armando Perez Bianco went out paddling in the dark.